Join us for a FREE one-hour college financial planning workshop, and discover how to send your child to their dream college without going broke! No pushy sales – we promise! Please include your email and phone number so we can contact you in case of bad weather or cancellation. Parents, whether you are worried how you will afford college for your son or daughter, or if you are looking to shelter your savings while getting more aid, this one-hour workshop will start you on the right path to college financial freedom. Mike Velasco has over 30 years of experience in the financial services industry, with expertise in college financial planning. His firm, Red Oak College Planning, has helped more than 600 families to successfully navigate the college admissions and financial aid process so they can comfortably afford to send their children to college–regardless of the cost. Parents, are you worried how you’ll afford college for your son or daughter? As college costs continue to rise faster than inflation, parents are faced with the difficult burden of having to figure out how they’ll pay for their student’s college education. Regrettably, more families continue to rely on student loans to cover the inflated costs of tuition, only to leave their children burdened by financial debt upon graduation. Fortunately, there is a way you can beat colleges at their own game! During this one hour workshop, Mike Velasco, a noted college financial planning expert, will share the latest strategies and steps you can do to get the maximum amount of funding for your child’s education. Learn all of this and more at this free workshop! Reservations are required, since seats often fill up quickly. 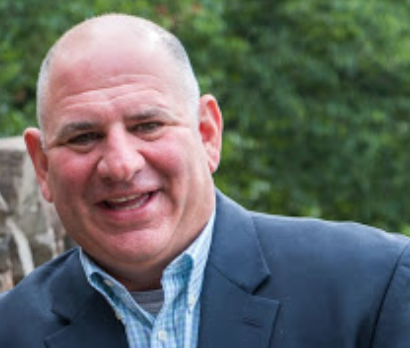 Mike Velasco is located in Central NJ and has over 30 years of experience in the financial services industry, with expertise in college financial planning. His firm, Red Oak College Planning, is affiliated with the College Planning Network (“CPN”), and together they have helped numerous parents successfully navigate the college admissions and financial aid process so they can comfortably afford to send their children to college... regardless of the cost. CPN is the Nation’s largest and most reputable college admissions and financial aid servicing center and has averaged nearly $19,075 per year in college aid for its average family and nearly $4,900 in financial aid award appeals.